Useless Bay is a bay and residential area in southern Whidbey Island. Living in Useless Bay means incredible views of the bay, Deer Lagoon, and Puget Sound, as well as convenience to Useless Bay Golf & Country Club and Double Bluff Beach Park, one of the area's most popular beaches for clamming and walking the dog. Homes for sale here are a mix between traditional single family, two-story construction, often with fabulous porches from which to watch the sunset, and high-end, luxurious beach estates with all the amenities. 3 Beds | 3.25 Baths | 3116 sq. Ft.
2 Beds | 2.75 Baths | 3240 sq. Ft.
2 Beds | 3 Baths | 2756 sq. Ft.
3 Beds | 2.25 Baths | 2668 sq. Ft.
3 Beds | 3 Baths | 3126 sq. Ft.
Blue Summit Realty has the most accurate and up to date Useless Bay real estate listings on the web. Currently there are 7 homes for sale, and 4 vacant land properties in Useless Bay. Of the 11 total Useless Bay residential listings for sale 0 are bank owned, 0 are short sales, 0 are new construction, and 0 are townhomes. The price ranges from $425,000 to $0 with a median list price of $524,000 and median sold price of $508,486. 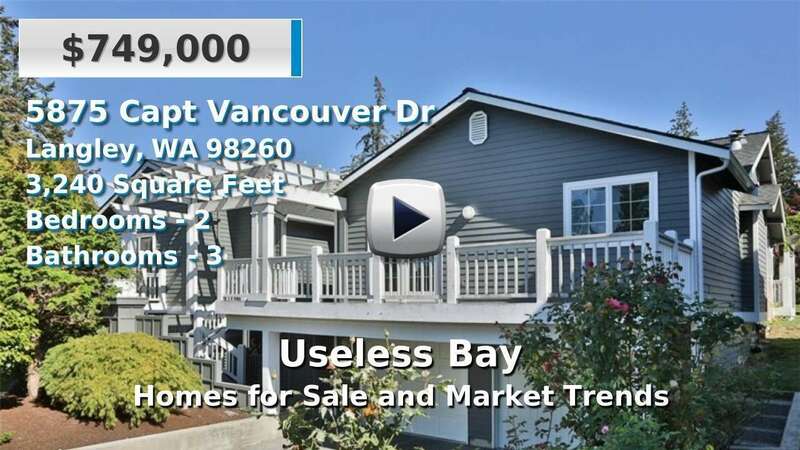 Make sure to refine your Useless Bay real estate search by property type, price, square footage, bedrooms, bathrooms and more with the search tool above or view the Useless Bay listings on our interactive map. Our Useless Bay real estate listings were updated 2 minutes ago.